Red Coral Price Quadruples due to wealthy Chinese Demand, Red Coral is the Gemstone of Mars as per Vedic Astrology and represents the essential Martian Attributes of Courage, Valour, Ambition and initiative. Representing the signs of Aries and Scorpio precious coral also known as Praval in Sanskrit find extensive use also in Ayurveda and the Praval Pishti (Paste made from Red Coral) is used in many medicinal preparations primarily for curing blood related disorders. Red Coral is considered to be a very auspicious charm by the Chinese People and has been accorded importance for several of centuries. Traditional Chinese belief is that the Coral is the representative of the mystical Iron Tree( Tieshu) that grows under the sea and blossoms only once in a 100 years. Red Coral Gemstone is also representative of a long healthy life, respect, awards and honour. 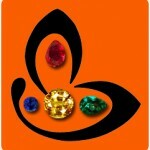 It also signifies permanent stable growth of wealth and prosperity. Coral is also the sign of official promotion and recognition in China. A Coral Button on the hat of an official signifies one of the 9 grades of Government officialdom. Red Coral Stone Price of the Gem Quality has quadrupled in the past 5 years due to heavy demand of wealthy Chinese individuals. 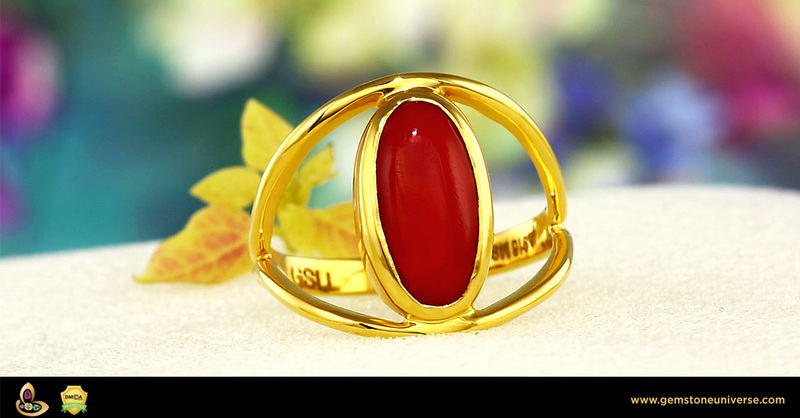 Red Coral Price is high, due to Jewellery ornaments, artefacts made from Coral are in huge demand due to their beauty as well as metaphysical properties and that has led to this marked surge in the price per gram of gem quality Coral. Around October 2014 more than 200 Chinese fishing boats were spotted in the territories of Ogasawara and Izu island chains in recent days, resulting in calls from Tokyo to put strong pressure on Beijing over this issue. Members of the ruling Liberal Democratic party adopted a resolution calling on the government to lodge the strongest possible protest, adding that they were outraged by the “barbaric act of pulling out coral by the roots”. Featured today is a fine quality blemish free top of the Gem Pyramid Red Coral from Japan. Top Deep Red Ox Blood colour Coral with premium mirrorfinish. Certified using Raman Spectroscopy, this fine Gem is the epitome of a Jyotish Quality Gemstone that shall deliver results only Jyotish Gemstones are capable. The Deep Red shade of the coral contrasts dramatically with the high caratage of 22 K Gold ring. The design element adds to the drama and the draw of this Red Coral ring. Do view the Video to appreciate the true features of Jyotish Gemstones. You can buy fine quality Natural Red Corals from the Gemstoneuniverse collection After, Seeing Moonga Stone Price Per Ratti here. * Currency conversion as on the date of featuring the ring.